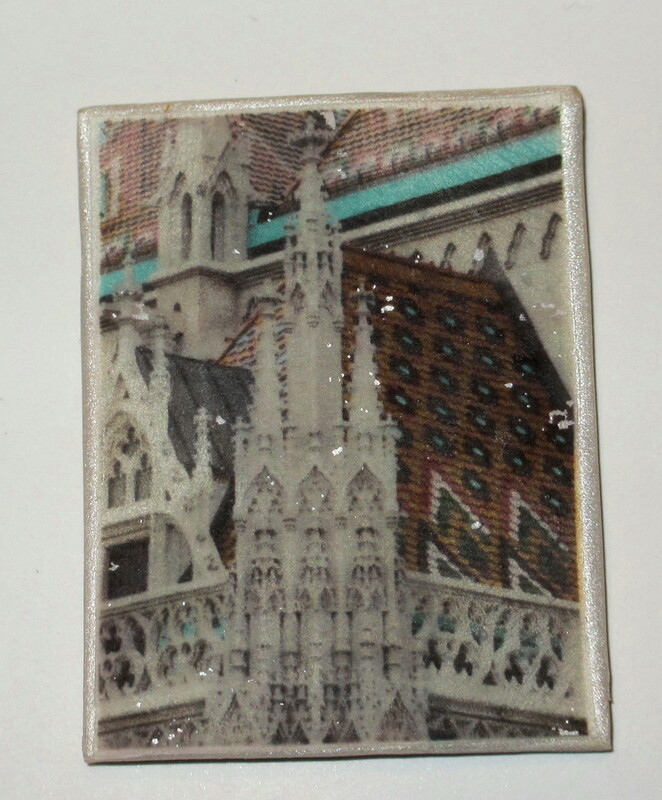 The past couple of days, I’ve been re-sizing my own photos to use for image transfers on polymer clay. By using my own images, I’m not concerned with copyright infringement, though I did discover a website with wonderful Victorian black and white images. My first three attempts at using transfer artist paper was a bust…I went out online looking for any comments regarding the product, and did not find much. I wasn’t going to give up! I followed the given directions, with a few alterations. Voila! I am so happy with the image transfer. A wonderful memory of Budapest.